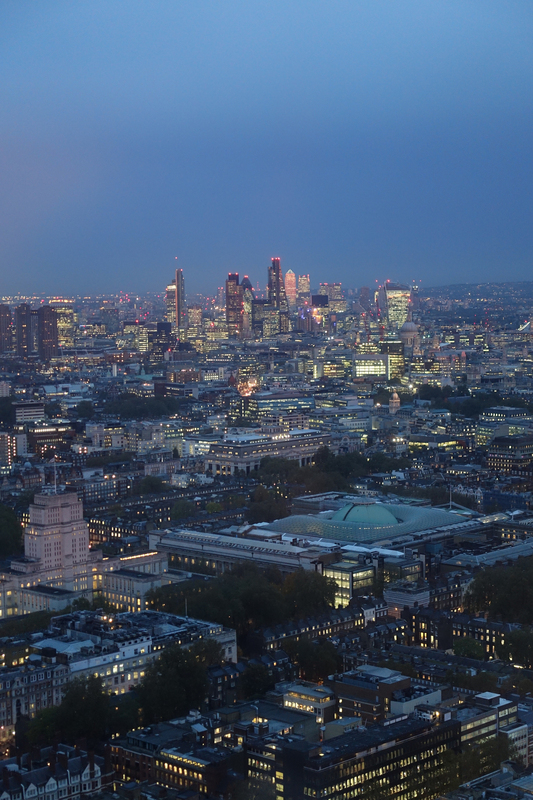 It’s the 50th anniversary of the BT (formerly Post Office) Tower this year, so it was great to go up and see the view, at a charity event near the end of October. The towers of the City stood out, and not much industrial to be seen anywhere, although the Park Royal industrial estate – once the home of Guinness – was pointed out in the distance. And yes, the old restaurant at the top of the tower does still revolve, albeit a tad jerkily to begin with! Latest news on the Vic & Ed Industrial Architecture book is that I should have the proofs by mid-December, so looking good for spring 2016 publication. This entry was posted in Industrial architecture. Bookmark the permalink.